Audi Ireland has made every effort to ensure the accuracy of information but does not accept liability for any errors or omissions in this information. Prices are valid as of 1st October 2010. Audi Ireland reserves the right to change prices at any time. Prices are ex works and delivery and related charges are extra. Errors and omissions are excepted. Audi is a well-known brand selling different stuff like automotive. We have 18 great reference books related to this manufacturer . 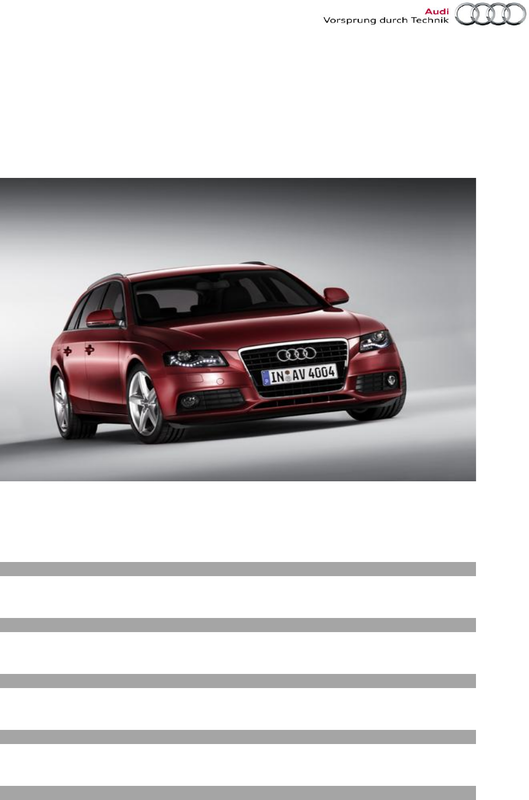 Now you're reading a user guide for Audi Automobile A4.